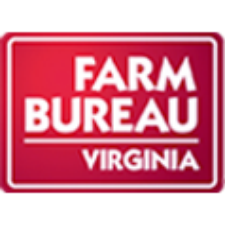 I’m happy that the Virginia Farm Bureau is working with our legislators so that farmers get cost-share funds for conservation practices. I’m a longtime member of the Chesapeake Bay Foundation and a former Director of the Cowpasture River Preservation Association, and they too have been advocating for cost-share funding to help farmers install practices that reduce erosion and keep manure and fertilizer out of our streams here in Highland County and downstream in the Chesapeake Bay. Here in Highland County we are at the headwaters of both the James and Potomac Rivers and are very proud to have clean water and we would like to keep it that way. Farm practices like fencing cattle out of streams are the most cost-effective steps we can take to keep waterways healthy, and research has shown that these practices are also good for the farmer’s bottom line by helping to keep livestock healthy. It’s great to see that the Farm Bureau and conservationists are both promoting a commonsense program we can all agree on. Letter from Keith Carson/Blue Grass, Va.